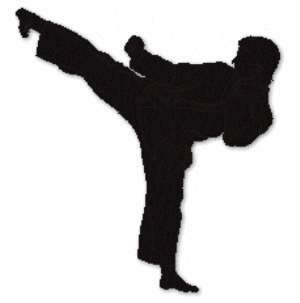 Accra, Nov. 24, GNA - The Ghana Karate Association (G.K.A) under the auspices of the National Sports Council is to host the second Black Belt's College on Friday, 26th and Saturday, 27th at the Sports Hall of the Accra Sports Stadium for its Senior members. The Chairman of the Technical Committee of the GKA, Sensei Melvin Brown said the seminar which is one of the most important events of the Association has come at the right time since the country is preparing to host next year's Union of African Karate Federation Championship (UFAK zone 3) with Accra mandated as the venue. Sensei Brown said the programme is aimed at introducing new rules and regulations as required by the World Karate Federation to ginger-up and re-unite senior (karatekas) and martial arts practitioners in Ghana. He called on all Club instructors, senior karatekas, the general public, film-makers and the media to take advantage of the opportunity to interact and learn the rudiments of sports Karate being undertaking by the Association. Sensei Brown said the third Black Belt College would be organised before the end of the year. Officials expected to grace the occasion would include Sensei Kwabena Poku, Prince Wilson, Robert Degenair (UK), Sensei Sardisu Mamah and the General Secretary, Patrick Anhidowu among others.